1.0.1 So What Really Is A Mastermind? People who are in a mastermind group correctly have experienced large amount of success, notoriety and happiness. Whether they have done so consciously or subconsciously, they have found themselves within a mastermind that has helped them reach great heights. 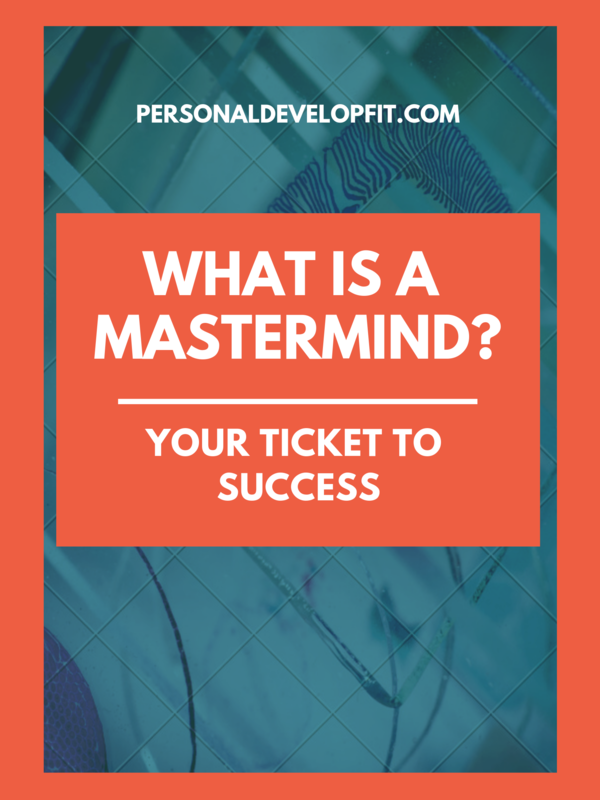 What is a mastermind and how can it help you reach your goals and dreams? Below I talk about the history of it’s origins, who first publicized it, how to form your own mastermind as well as the benefits of a mastermind group. Enjoy friends. So What Really Is A Mastermind? A Mastermind group is two or more people who come together for no certain length of time to brainstorm ideas, support each other and most importantly keep each other accountable. It doesn’t have to be for one sole purpose, people bring to the table what they need to bring. It was first brought to the world in the form of written word in Napolean Hill’s book Think and Grow Rich. He simply state that by participating in a Mastermind you may open the door to your definite and major purpose in life. He stated that the nature of it is consists of “two or more people who work in perfect harmony for the attainment of a definite purpose.” He also talked about how you can accomplish more in one year through a mastermind than you could with your sole efforts. He also states about you how draw upon what he calls the spiritual forces within you, which I believe is drawing upon something bigger than yourself. This will catapult one to greater heights than the could, again with effort from just themselves. The mastermind is to give one complete protection from failure itself if ones goals and aims are aligned with helping people. A good example of this is the Declaration of Independence where it was life or death as signing it would result in freedom for a nation or every single one who signed it to be publicly hanged. To watch even more about what Naploean Hill said about he mastermind, check out the video below! Like we discussed above, a mastermind brings one accountability. But why is accountability so important? Well lets look at an article that talks about the leg wobbling fact of how you can increase your odds of hitting your goals by 85%. The article talks about how there was a study done on how the American Society of Training and Development performed a study on accountability talking about probabilities when it comes to goal accomplishment. You are 10% likely to achieve your goal by simply having one, 25% if you consciously decide to do it, 40% when you decide when you will do it, 50% if you plan out how you will do it, 65% if you commit to someone and 95% if you have a specific accountability with a person you commit your goal to. So essentially by having a mastermind group that you commit your goals to and whom you meet with regularly to discuss your goals and actions, you virtually guarantee the successful attainment of that goal. Friggin insane! We can create some pretty powerful ideas alone. But with one or more people mulling over our ideas and goals, we can gain insight to ways we can not only reach our goals faster, but have a more profound affect on the people whom we will affect with the accomplishment of our goals. This can mean that we bring more value to the marketplace as well as leave a bigger and longer lasting legacy. A great site talks about the power of a new perspective talking about how it can help remind you of thoughts and ideas you have forgotten about, stretches your understanding and beliefs of what is possible, shows you what you can and can’t live without, reveals elements we are missing to help us reach our full potential as well as reveals habits to you that can either make or break your success. You can only push yourself so hard. Now you can not only be compelled to press harder but be the reason that others do so as well. A good mastermind group will push you beyond what you thought were your limits. This is because it stretches our minds capacity and beliefs in what we thought were possible, both physically and mentally. It forces you out of your comfort zone as you will most likely be called out for thinking too small. This will lead to setting bigger goals, allowing you to take bigger action. Larger action than you would if you set goals by yourself. Your network is your net worth as Porter Gale says. When you create a mastermind, you open yourself up to not only building what can become a mutually beneficial relationship with the people in the group, but it also opens up their roladex of people who can help you achieve your goals, dreams and visions. We have all heard of 6 degrees of separation. Essentially someone in the group will know someone, who knows someone that can help in the attainment of your goal. These are connections that would never have been possible if you didn’t collaborate with your mastermind. Going after goals with all of your blood, sweat and tears can be insanely lonely. Especially if you don’t have close people in your life supporting you. Even if you do, no one really gets how much it means to you, so they can support you fully but you can still lack a feeling of support because no one truly gets it. But you can lean on people who are going after big goals and life dreams. It can inspire you when you are down, and compel you to excel when you may have given up because of lack of support. No one can do it alone! It will bring you the power of focus into your business as meetings with a mastermind will get you back on track. This is very tough to do when we are trying to do it alone. When you are about to make a big decision, you can run it by the group and get feedback. When we are mentally fatigued from pushing after our goals and simply just by life itself, we can lack good decision making skills. Bring you ideas for execution to the group can allow you to see multiple perspective on how to take the next step, or if it is a better idea to go in an entirely different direction. A mastermind can cause extreme spikes in your growth and personal development because you are bringing together multiple minds with so much life experience. You will get insights and ideas about how that can allow you to grow personally and professionally at a faster rate than you would if you were going at it alone. When it comes to how to find a mastermind group, the first and easiest step is to analyze your inner circle. Who, if any, are worth enough to include in your mastermind group? Are any of the people around you going after or willing to go after their goals and dreams as hard and as persistent as you are? If so, then approach the with the idea of joining a mastermind with you. This may seem weird, but if you seem them on the same pace with you or even higher pace, than they will be very open to the idea. I was able to find my first mastermind group by mass emailing people in my industry of whom already held masterminds. A lot of those emails came back with responses like get back to me at the end of the year, or our group is already full. But one guy got back to me and told me he had space and that he would charge me certain amount of money upfront or monthly. So that is for sure a good approach. Also, you can join forums that have mastermind quality to them or you can of course create your own like I will talk more about later on in this article. The point is to take action now. Put yourself in a position to succeed through the likes of a mastermind. If you see value in it, then pay for it. Make it happen, work extra hours or barter services. 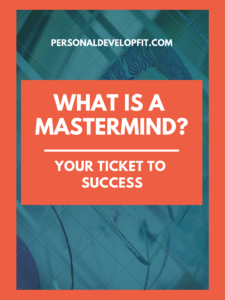 A great article went into even more depth about this called how to find a mastermind group near you or online, saying that the first step to finding a mastermind can be to simply not see it or actively look for it under the term mastermind. More like umbrella terms like coaching, groups and gatherings. meetup.com – Meetup offers almost 400 mastermind groups and has nearly 70,000 members where you may comfortably fit in. Toastmasters – Close to being worldwide, Toastmasters has 15,400 clubs in over 130 countries where they help people improve their public speaking. Vistage – Created for CEO’s and executives where there are facilitated advisory peer groups which let you dig deeper and get business issues. Weight Watchers – One of the biggest and well known masterminds of all time where they help women lose weight and have been doing so online for years now. The article also makes a great point on the fact that joining free mastermind groups should be done cautiously simply for the fact that there is likely to be lack of commitment and lower criteria for value. Essentially whatever type of mastermind group you are looking for to get better in or gain more knowledge in, someone or some organization if offering it. Pick your members with care. They cant be your competitors, they need to all relate on a personal level as well as must have similar experiences, both personal and professional. Create the ground rules right off the bat. How long and what day will you meet and where. How often can new members join and what criteria do they need to meet and is there a maximum number of individuals that can join the mastermind? Set your intentions for EACH meeting. Then do not deviate from those intentions. Sticking to an agenda is key to maximizing the time of the group and getting the most value and resources out of it. Choose the leader of the mastermind right off the bat whom of which decides who the rules of the group and keeps everyone on track. They discuss what the meeting will consist of, recap the entire meeting then take the rains on setting up the next meeting. Encourage even amounts of sharing. This will allow people to have a voice in the group and keep them coming back each meeting. Have a strict no show policy. It can be as strict as if one doesn’t show up ONCE they are gone. People in the mastermind need to learn to respect it, if not then they will never bring enough value to the group. No distractions, phones need to be off. Unless you know an emergency may happen, all distractions need to be completely cut off. No email checking, no checking out hot chicks/dudes. Focus completely. Everything is confidential. If someone shares something personal with someone outside the mastermind that affects one of the members, then they are automatically out. I truly believe a mastermind shouldn’t cost you anything. As long as everyone is bringing equal value. If the leader of the group is bring more value than anyone else, than he/she should be compensated accordingly. Whether that be monetarily or in the form of something else. Below I discuss how one of the main rules of a mastermind is to create a group where everyone is equal on the playing field. Or at least very close to. This way everyone is obtaining equal value. Often times this may not be the case, which if you are not bringing equal value, you should expect to pay for the lack of value you bring. This is the case for people who are looking to be taught a new skill. For example an online marketing guru who meets with those trying to get on his/her level. In which case you pay for the value of the time of the mastermind which consists of questions being answered by the leader. Questions coming from the rest of the mastermind group. What exactly should you ask during your mastermind group to evoke the most out of your time together? Below are 15 example questions that you can use when you get your sessions going. Feel free to modify and evolve these questions right off the bat and/or as your mastermind sessions increase. What is our relationship to failure and how can we better it? What our our strengths and gifts? What are my top 10 core values and are my daily habits aligning with them? What things in our lives do we need to say NO to in order to further our goals? What has kept me back from achieving my goals in the past, or lengthening the time it took for me to hit them? What negative programs do I have around achieving my goals that may get in the way of the achievement of my goals? How can I see the falsehood in these negative programs? What negative programs do I have around money that may keep me from becoming financially independent or free? How can I eliminate these beliefs (they are just beliefs)? Who in my network can help the other people in this mastermind? How can we help each other best achieve our goals? How can I make my commitment level to my goals a 10+? What do I need to do in my life to make it a purpose driven life? Other than these questions, you can also brings books the group has been reading to discuss powerful concepts from, cover letters you are looking to send to employers for better jobs, blog posts you have created for review, personal issues that you need help with. Anything in life that you can use an upgrade on, or a different perspective should be brought to the mastermind session. A mastermind group is simply a meeting of highly motivated folks who share a common goal and are looking to encourage and help each other improve.